Here is a place where you can crit Madame Kirkland without feeling judged. Logging is off(Not that I know how to trace anyway), comments are screened so only I will see them. Please let me know if how I play Victoria is off to you in anyway at all. Even if it's something small because even small things can influence how a character is played. Personality: Victoria is outwardly prim, and proper. She likes people to see her as a lady. However she holds a keen wit and delivers strong but well put sarcasm to everyone that comes across her. When something captures her attention she has a strong focus, though if she takes a disliking to someone or something she has a habit of completely dismissing it out of turn without another thought. She can be a tad prejudice and shy about certain things, but tends to come around once it’s explained to her. Victoria also hides a very tender and sweet side. She has capacity for great love, compassion and kindness. But only to people who she feels deserves it. Victoria also had a great passion for reading and writing, and when on her own she can generally be found with a large tome, or surrounded by notebooks and poorly drawn sketches of characters. Generally under a tree or on a staircase at the time. Victoria is both Arthur’s cousin on his mother’s side, and a childhood close friend. She spent most of her time growing up with Arthur and his brothers, as well as her own brother, Peter. Within the family it is very obvious that Victoria highly favours Arthur, as she makes no attempt to hide the fact that she ignores his brothers when they try to interact with her. As they grew up, Arthur and Victoria would spend a lot of time in each others houses. As such, Victoria would subject Arthur to Muggle television and culture, giving the full blood a better understanding of muggles and their practices. Victoria spent her childhood being raised with her mother teaching her about the magical world, while her father would encourage her love for reading. Dressing Room Sample: Victoria’s Dressrobes. Victoria is an accomplished horse rider. Her Mother works in a small store in Diagon Ally. Her Father is a Sargent in the Serious Organised Crime Agency section of the police force. Victoria and Peter were christened; Cooper. However when they started to show a leaning towards magic, their mother changed their name to Kirkland, to keep the good name of Kirkland in magical circulation. All of Victoria's stories carry the pen name of Cooper. 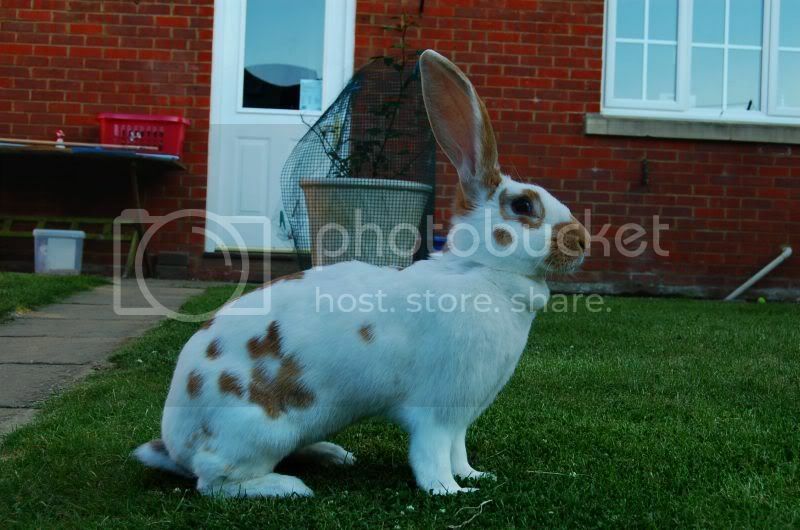 Her familiar is Thistle, a Papillon Rabbit who has caramel coloured spots. He is very judgemental and looks unimpressed with everything. If he senses that Victoria doesn't like someone (Or if he just don't like them) he will growl at them and scratch them when ever he can. Victoria also carries a Netherlands dwarf lop called Fern in her pockets at all times. Unlike Thistle, Fern is very amiable and likes to be pet and cuddled, however she isn't fond of wide open spaces and is at her most comfortable in Victoria's pocket. The best way to get in her good books is to encourage Arthur to talk you up to her. Her favourite sweet are curly wurlys. She loves meals with potatoes. [Preferred] I'm forever on Plurk, it's obsessive really. [Backtagging] I love back tagging because sometimes I miss things! [Threadhopping] I have no issues with hopping. It's quite fun if you ask me. [Plotting] I LOVE plotting, there's nothing finer. [Offensive subjects] No gore, that's pretty much it. [What's okay to mention around him/her] Victoria finds smutty language and behaviour embarrassing so she likes to avoid talking to it. You can still talk about it around her but she'll just get flushed and grumpy. [Is there anything you need us to know about interacting with this character? Special physical features, special abilities, etc] She wears a pair of red rimmed, her hair is generally up in pig-tails, with hair clips done up in crosses on her left side. [Can I hack that strike or otherwise find out information they'd prefer to keep hidden?] Her strike outs can be hacked, however she doesn't tend to keep much hidden in any case. [Can I troll/mindscrew/mess with in general?] Sure you can. She's not going to enjoy it though. [Can I spit at/jinx/step on/etc? (i.e. fighting)] Victoria isn't a strong fighter, but she's good with jinxes and defensive spells. Also, Arthur is protective of her. [Can I flirt with/hug/kiss/use other means of non-violent physical contact with this character?] Be as non-violent as you like with her, but she will get affronted if you go further than she'd like. And also Arthur could take exception.